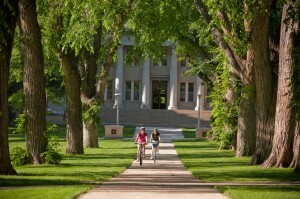 If you’ve recently been accepted to INTO Colorado State University, there’s probably one big question on your mind – should you live on or off campus? 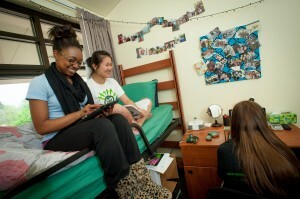 Tamara says: Wondering what your living options are for INTO CSU? Well, it all depends on the course you’re doing. If you’re a student on our Undergraduate Pathway Program, you’ll be required to live in the Global Village Residential Learning Community in Parmelee Hall for your first two semesters. However, if you’re doing our Graduate Pathway, Academic English or General English programs, you’ll have the option to live either on campus or in nearby apartment accommodations at Prospect Plaza and Cambridge House. Each housing option provides great amenities and is located within walking or cycling distance to the INTO CSU Center, your classes, and other university facilities. Living on campus gives you the chance to immerse yourself fully in CSU life, while living off campus means that you can experience being part of the local Fort Collins community. Whichever option you choose, you’ll be studying on a campus that was ranked very highly by international students in a recent survey, and in a city with one of the best standards of living in the US.